Dwyane Wade has done a ton of jersey swaps in his final season, but may have his best saved for tonight. The superstar guard will end up in the Hall of Fame one day, as will his most senior competitor in tonight's contest, Dirk Nowitzki. Wade made his intentions clear that he wanted to leave with Dirk's jersey while speaking about his history with the superstar big man. mean, who wouldn't want Dirk's jersey? Nowitzki represents a huge chapter in Wade's story in the NBA. Aside from the two being named honorary additions to this year's All-Star Game, they have battled on the biggest stage possible. They've gone up against one another in two separate NBA Finals, with Dirk getting the last laugh in 2011. 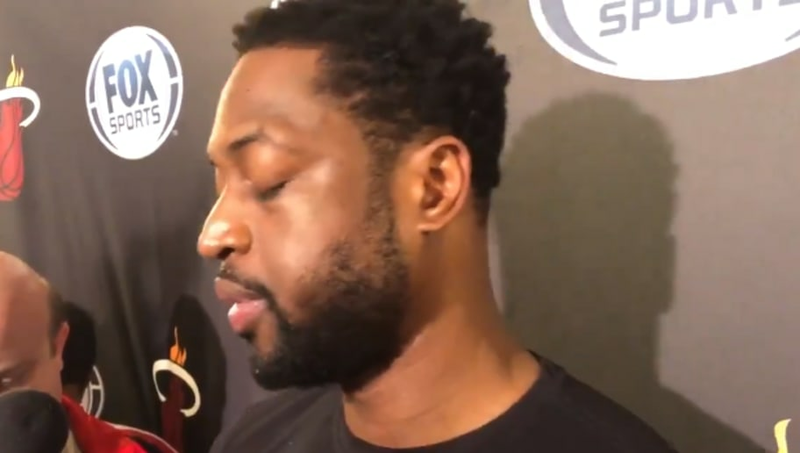 But Wade will always have 2006 to lean on. The journeys of both these superstars are two incredible paths, and without one another, it simply wouldn't be the same. We'll see one final battle between these two, and likely, a jersey swap to cap it all off poetically.